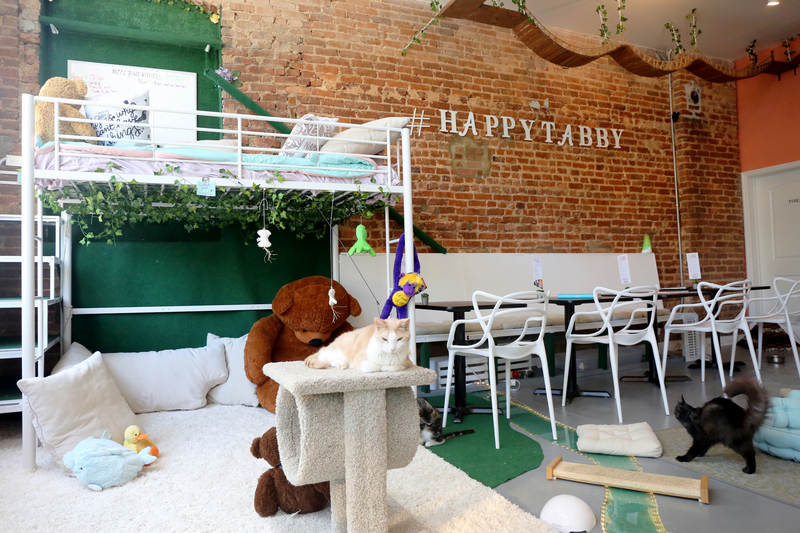 If you or someone you know is evacuating at risk areas for Hurricane Irma, Atlanta’s Happy Tabby cat cafe is here to help. The Happy Tabby is offering cat boarding FREE OF CHARGE to those evacuating the hurricane. Happy Tabby is opening its doors and hearts to provide shelter for Hurricane Irma cat evacuees, and piece of mind for their owners. A crate, the larger the better. A shirt or other item of clothing with your scent on it. Food. Especially if your cat requires special food, please bring it. Also, litter your cat requires a special kitty litter. Vaccinations records if you have them. Please bring your cat even if you do not have your cat’s records; they are accommodating all cats. Happy Tabby is providing 24/7 staffing to care for the cats. Hurricane Irma cat evacuees will not be housed in the cat cafe, but rather in the separate, private administrative rooms. Cats will spend some of the time in their crates, so it helpful to bring as large of a crate as you can. Cats will take turns roaming free in separate rooms. Cats who do have their vaccination paperwork will be able to enjoy more free roaming time along with other cats. Regardless of paperwork, Happy Tabby is welcoming all refugee cats. The response to Happy Tabby’s generous offer has been extraordinary. 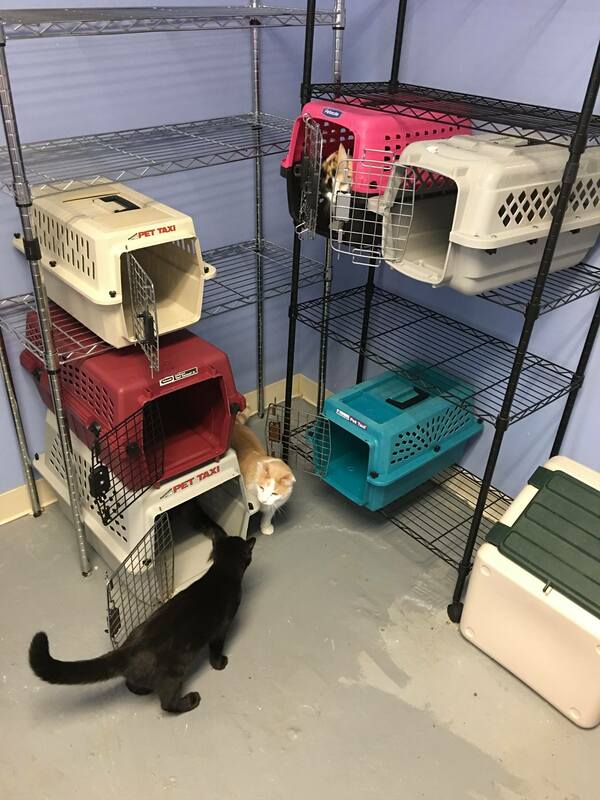 As of this writing on Friday before the storm’s US impact, they have received over two hundred phone calls and welcomed sixteen Hurricane Irma cat evacuees. 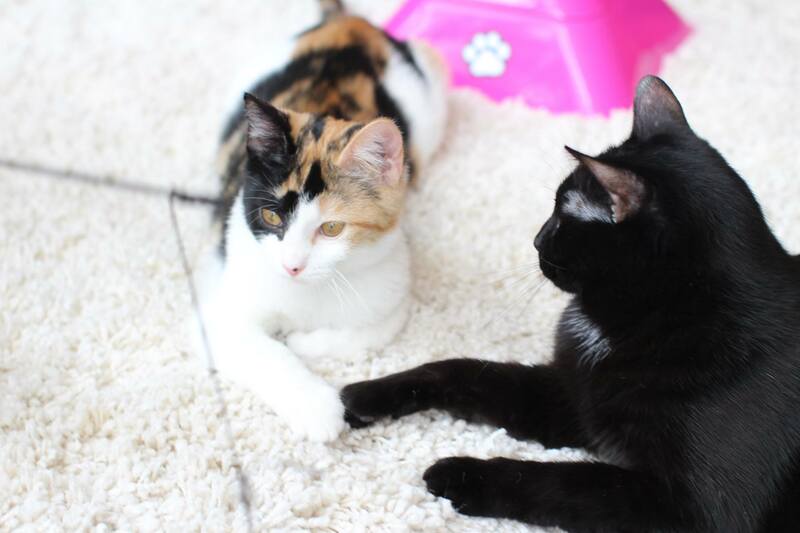 The Atlanta cat cafe has taken in cats from as far away as Fort Lauderdale, six hundred and fifty miles to the south, and Orlando. 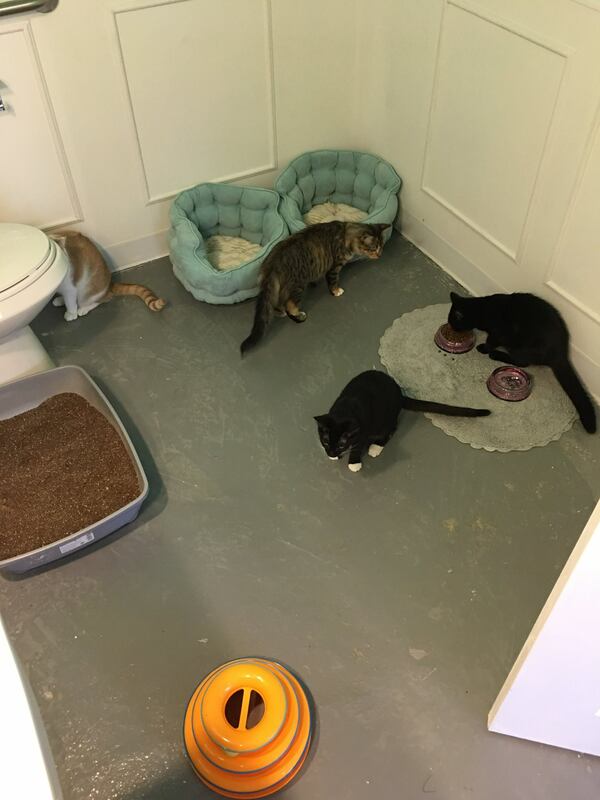 A number of evacuees from Savannah, two hundred fifty miles southeast of Atlanta, are being cared for at Happy Tabby. They have room for many more cats and owner April Hill tells That Cat Life that evacuee cat owners should not hesitate to contact them. No cats left behind! Happy Tabby has also taken in six rescue cats from a Savannah shelter to their cats available for adoption in the cafe. Among the heroic efforts being made by many people to save as many animals as possible during this looming natural disaster, a local Atlanta pilot has flown to Savannah twice to bring shelter cats out of harm’s way. So far, this effort alone has brought sixty seven cats to Atlanta. Large Crates Do you have a large crate that you can loan the Happy Tabby? Because some cats arrive in small carriers, or even no carriers, the Happy Tabby is in need of large crates. While you’re here, enjoy a beverage and all the kitty love that Happy Tabby has to offer.